Motorcycle jackets seem to come in two forms. 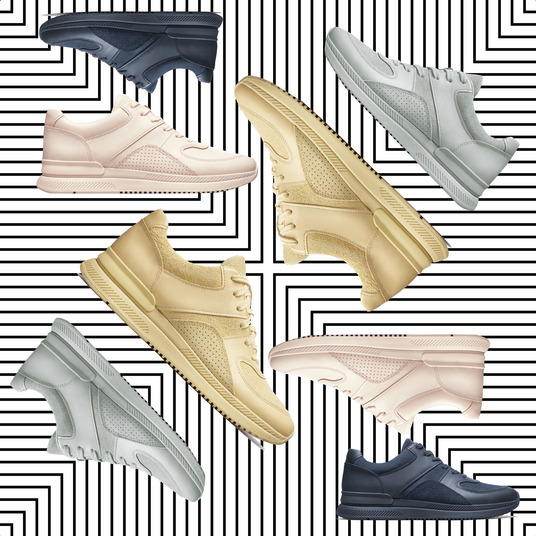 There are the ones made of real leather, which cost a bundle and never seem to go on sale, and then there are the fake ones, which are affordable but tend to feel like plastic. 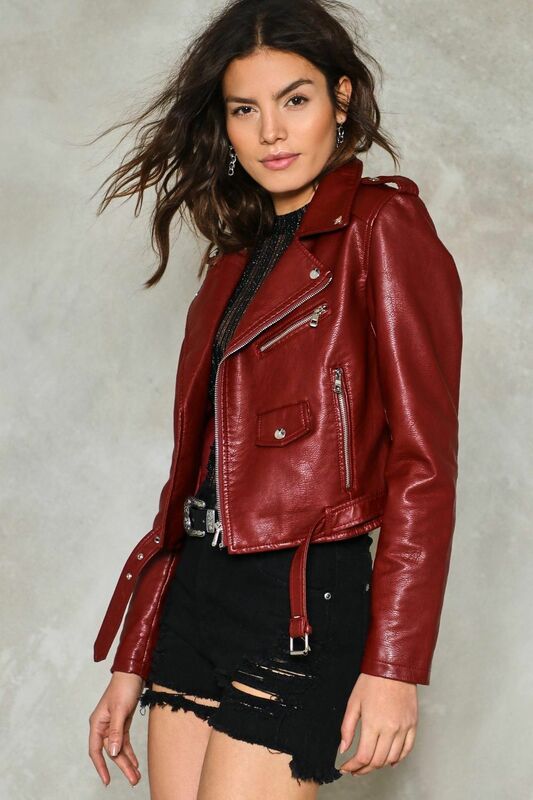 In an effort to close that gap, our editors tested out 17 faux leather jackets under $200 — touching them, trying them on, and moving around to get the full effect. Scroll ahead to see the five we loved most. 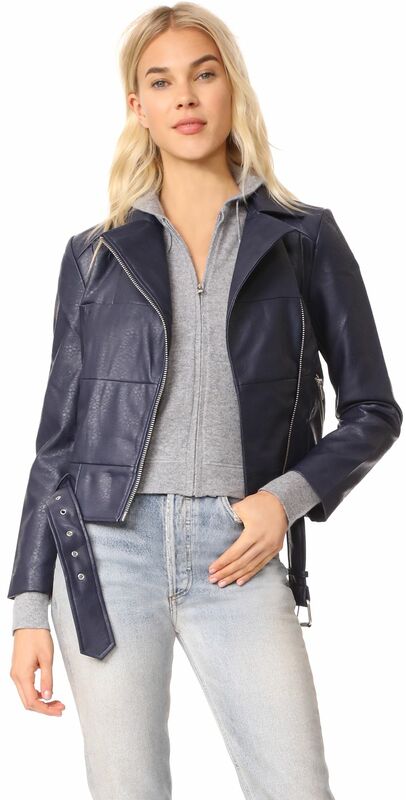 Everyone gravitated toward this for its straightforward shape and thick fabric, which looks like real leather. The soft, fuzzy lining was a universal hit. Not only does this come in a cool navy-blue, but it actually zipped comfortably on everyone, including the tester whose bra size is 32F. A funny thing happened with this jacket: The fashion editors loved it, and the rest of the staff hated it. The thicker lining does make it look more expensive. 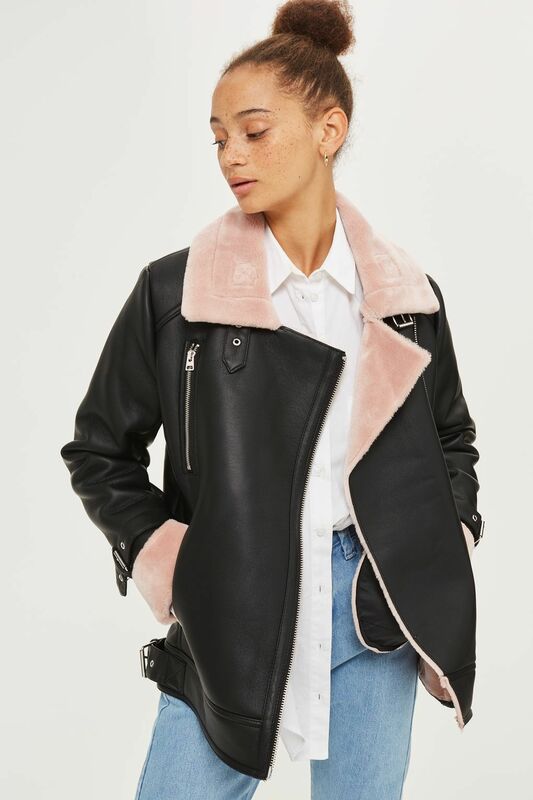 And as one fashion editor put it, “If you’re going to go fake, you should go all out” — which is a good way to justify pink faux shearling.